Tune in every Friday for BCB’s Friday Favorites, as Bump Club and Beyond shares our favorite parenting products, brands or services that makes parenting that much easier. 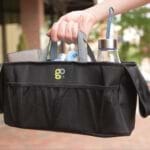 This week we’re featuring Goldbug‘s On The Go products, which include their Shopping Cart Cover and Backpack Harness. Want to get in on the action? One lucky winner will take home a $200 prize package filled with Goldbug Baby Favorites PLUS a $50 Gift Card to Target to purchase some more of their own! CLICK HERE TO ENTER TO WIN Make sure you’re following us on Facebook and Instagram for MORE! Before you’re a parent you hardly ever think about the germs on a shopping cart—or anywhere for that matter. Goldbug’s Shopping Cart Cover is a necessity when grocery shopping with kids. Not only does it help protect your little one from unclean surfaces but it also has an adjustable shoulder harness and waist belt, which helps keep your child safe and secure during their ride. 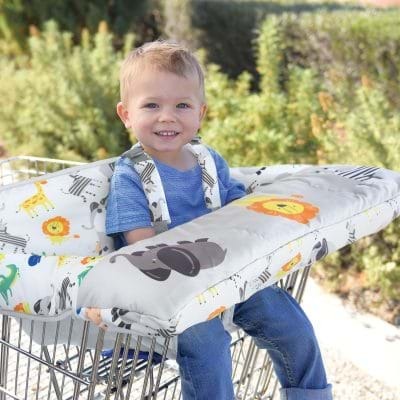 With hooks that keep the cover in place, soft leg holes and back padding, this is both a comfortable and practical solution for your kids when you’re out and about running errands. The Shopping Cart Cover also folds into a self-tote and comes with loops, so you can attach a teether or favorite toy. In addition to grocery shopping, Goldbug’s Shopping Cart Cover is also great for restaurant high chairs, making it a must for all families. Goldbug’s Backpack Harness keeps both you and your little one calm and happy at all times. 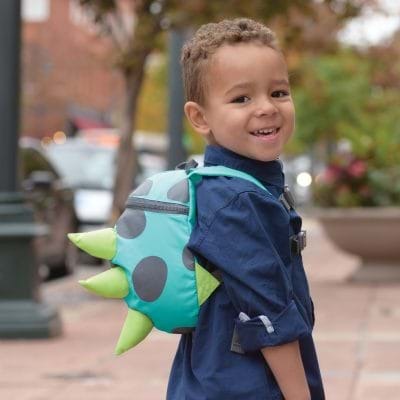 With zippered storage for toys and supplies, as well as adjustable straps and two chest buckles for a secure fit, this backpack harness is the full package. It also comes with removable tethers, which transform this harness into the fun backpack your child’s always wanted. 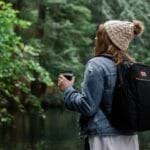 Goldbug’s Backpack Harness is made from durable fabric, which can easily be wiped clean, and it also comes with a parent wrist strap, making it perfect for travel and crowds, both big and small. Don’t forget! We’re giving away a GIANT Goldbug Baby Prize Package + a $50 Gift Card to Target. CLICK HERE for your chance to win! Check out past BCB Friday Favorites here. We showcase a new Friday Favorite each and every week! 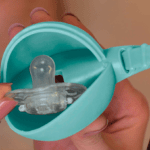 This week’s Friday Favorite is sponsored by Goldbug Baby.